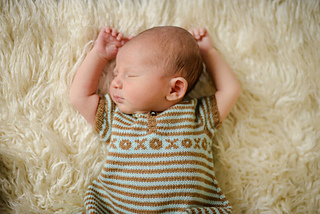 This versatile romper is part of the New Guy layette collection from Tot Toppers and is shown with the Hug Me Hat and the Welcome Mocs. 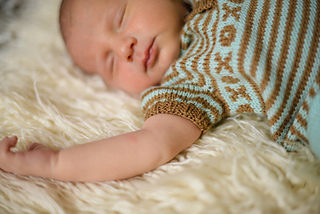 New Guy is available as a booklet or an e-book and the patterns are now available individually as well. 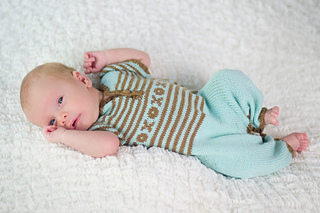 This little set was my Eliot’s special coming home outfit. 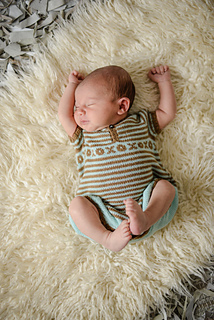 I knit up the bubble first (shown in Newborn) and then found out he was going to be a little early, so I decided to make a smaller version with pants (shown in Preemie). • The romper is worked top down with raglan style seamless sleeves. 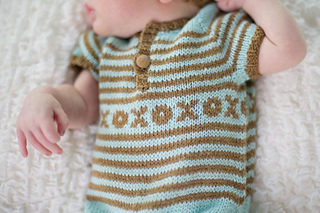 Instructions are provided for optional short row shaping at the backside, suggested for babies who wear cloth diapers. 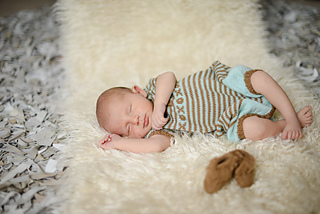 • Snap closures provide easy access for those frequent diaper changes. 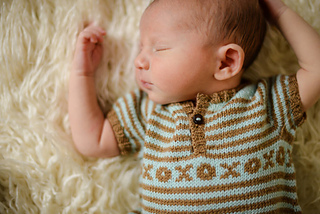 And, a buttoned placket gives plenty of room for on and off over baby’s head. Click here to join the Tot Toppers mailing list. 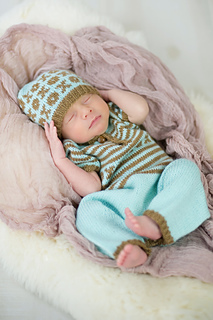 Yarn shops can purchase this pattern wholesale from NNK Press.